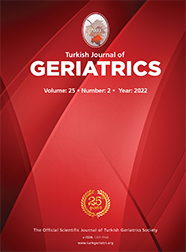 2 Abant İzzet Baysal Üniversitesi Düzce Tıp Fakültesi Genel Cerrahi Anabilim Dalı BOLU Objective: Operations associated with increased risk of perioperative mortality and morbidity lead to consider regional anesthesia techniques for elderly patients. Epidural analgesia is used widely combined with general anesthesia. In this case, it is discussed whether solely thoracic epidural technique with ropivacaine provide appropriate anesthesia or not in emergency situations for elderly patients. Case Report: A 73-year-old cachectic male diagnosed with ileus was scheduled for an emergency laparotomy. He had congestive heart failure with hypertension, tachycardia and tachypnea with jugular venous distension. Thoracic epidural anesthesia were performed with ropivacaine 75 mg. Total colectomy and ileorectal anastomosis were performed. The patient discharged uneventful postoperatively.